About the last thing I expected from this detective novel was a poetry-spouting Chief Inspector. Chen not only recites classical Chinese poetry but is himself a published poet – as well as a translator of western poems and even mysteries. And he is a bit of a gourmet as well. I love when writers detail meals. All too often I read of how characters ‘sat down to dinner’ and I’m just dying to know, yes but what exactly did they eat?? It sounds like an interesting mix of gourmet and simple homecooked dishes, which reflects on the character of Inspector Chen. An educated man and a published poet who attended the Beijing Foreign Language College, he then heads the Shanghai Police Bureau’s Special Case Squad, a job that seems to be a bit at odds with his more intellectual, thoughtful personality. But of course his insightfulness is key to this case. Essentially, there is a dead woman whose body has been unceremoniously dumped in a garbage bag and tossed into a canal. It turns out that she is a celebrity in the political sense, as she is National Model Worker Guan Hongying, chosen as a role model by the Party. There soon emerges to be even greater political implications in this case, and Chen – as well as his subordinate Detective Yu – is forced to choose between doing what’s right for the case and the victim, or what’s right as determined by the Party. Politics is at the heart of this story. 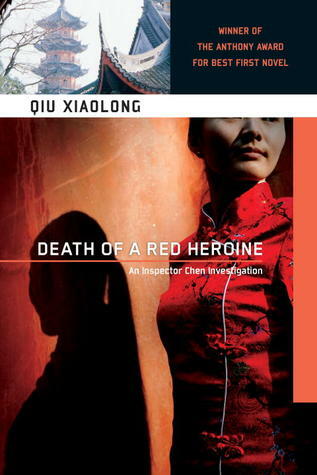 Death of a Red Heroine was steeped in such vivid details of everyday life in 1990s Shanghai, both the lives of regular folk and of the privileged, sometimes surprisingly seedy. I have to add a note of warning to those expecting a fast-paced, exciting crime/mystery novel. This isn’t quite that. The case moves a little slowly, not just because of all that politicking going on, but because the detectives take buses, they do research at the public library, and towards the end, are forced to surreptitiously pass information to each other. It’s complicated, but the book still flows well despite its length (464 pages). I had a great time with this book, reading some bits of classic Chinese poetry, learning about life in 1990s China, and best of all, learning about the diverse cuisine of China. Although I am ethnically Chinese, Chinese food in Singapore is probably different from that of China (I can’t say for sure, as I’ve never been). Like the ‘across-the-bridge noodles’ (过桥米线 or guòqiáo mĭxiàn) that Detective Yu’s wife Peiqin cooks for Inspector Chen, essentially a platter of rice noodles served along with side dishes like slivers of pork, fish and vegetables, and of course some steaming hot soup. The story behind the noodles, according to the book, was that during the Qing Dynasty, a scholar studied on an island, his wife had to carry his meals across a long bridge and when it reached him, the noodles were cold and soggy. So the next time, she kept the noodles separate and only mixed them when with her husband. A recipe can be found here. 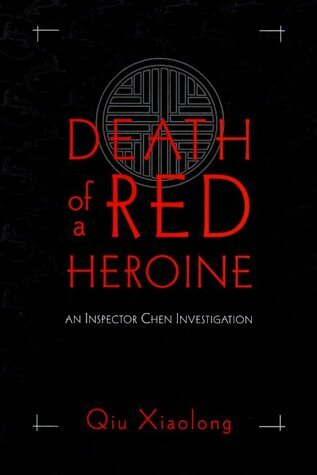 I’m looking forward to the next Inspector Chen book, and can only hope that there will be plenty of foodie details to chow on. 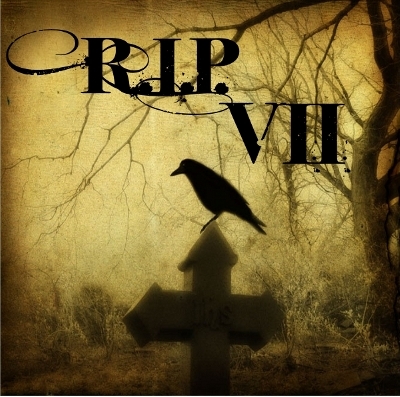 While not your typical mystery, I am still going to count this toward RIP ViI! 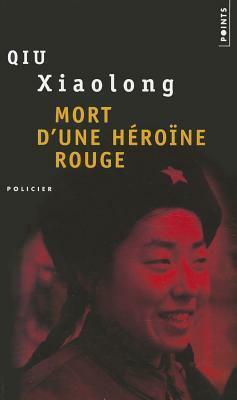 I have no idea Qiu Xiaolong has written so many books so far. I have wanted to start with the first one but it took my a long while to come around and check it out from the library. With our affiliation to Chinese poetry, I think this would be entertaining read! Thanks for the review. You’re welcome. I am looking forward to reading the rest of his books. A poetry-reciting inspector, doesn’t sound like your typical policeman! I am surprised to read that there are still “model workers” and “high cadre children” in the 1990s. Those terms seem so outdated and belonging to the Mao period. Great review and fitting quotes, I need to pick up this one soon. I hope you do get hold of it, it was quite an interesting read.